While the world knows this as Flight MH370, the actual airliner goes by the name 9M-MRO. The following images are of the actual missing Malaysian aircraft taken prior to March 8th by aviation photographers across the globe. From 2004 to the weeks leading up to the incident, these photos mark over a decade of service. They are meant to celebrate the lifespan of this aircraft and the photographers it affected. The following narratives and images have been provided by photographers across the globe as tribute to the missing. Since March 27, I've been compiling their stories to give a personal glimpse into aviation photography, planespotting, and especially the flights 9M-MRO provided throughout the world. To the crew, passengers, and their families of this global tragedy, our thoughts are with you. "I flew into Vienna International from London Heathrow on an Airbus A319-131 G-EUOD. I had a window seat and shot the 777 as we were taxing to the stand. It has only been through your communication that I realize the coincidence." "Until today, I didn't know that one of my aviation pictures shows 9M-MRO. But you're right. So to be honest, nothing changed. It's a tragedy..."
"They lost contact with MH370 to Beijing... "
... and from then on... buzzed of calls and 'whatsapp' messages goes through my handphone. Then several stories cropped up, giving hopes and dashing hopes. Remembering that day and the latest official information that we had, giving me chills up the spine, 9M-MRO was still flying, alone, somewhere in the loneliest place on this planet, far south of the Indian Ocean when I received that call from Sallehudin. I was on an assignment for an aviation agency to captures aircraft movements around Kuala Lumpur International Airport. The B777 aircraft has this unique and very elegance entrance style to the runway for lining up, thus I had several shots of 9M-MRO that day lining up for take off from runway 32R. I'll say a little prayer in my heart that they'll find MRO soon, find out what actually happened and prayed for the souls on-board, when I look at my photographs of 9M-MRO." "I took this photo a few years ago and wondered where all the people on it were going but for the people on Flight MH 370 it is a very sad end the mystery deepens so much mis information about what happened to it hope it is found soon it appears to be in the deepest part of The Indian Ocean so the relatives of those on board might never get closure." Malaysia Airlines used to have a daily flight from Kuala Lumpur to Roma Fiumicino. The service was cancelled something like one or two years ago after a very long and successful history. It was MH14 / MH15. The incoming flight arrived around 6 AM and departed back to KUL around lunch time. It was a typical catch of my plane spotting early morning sundays: a nice livery on a beautiful aircraft at the best possible sunrise light. However, a 6 AM arrival was not really convenient during winter or when you are not strong enough to wake up at 4 on sundays. The take-off was less photographed because of the midday bad and hard light. 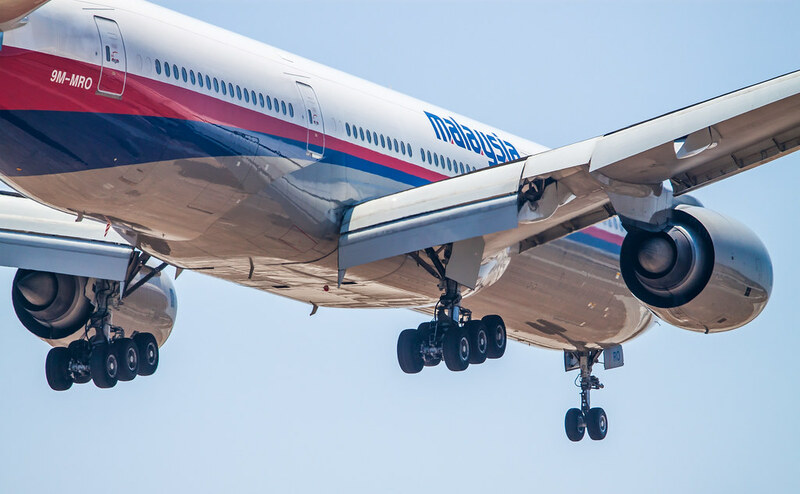 So, in the end, a picture of the Malaysian 777 was not that common here in Rome. That picture had a really strong impact on me. I have a kind of friendship relation with the aircrafts I photograph, so it was like I was missing a friend. Moreover, all those lives lost on it made it all way more sad." "As for what I felt and where I was when I heard the news? I was at home on Facebook when a friend posted a link and I immediately thought of Air France flight 447 that crashed into the Atlantic Ocean, it sounded exactly the same, airliner disappears off the radar over water.. Almost all aviation photographers have thousands upon thousands of photos, out of which a few photos make people go “wow“. This picture wasn't a “wow“ shot by any means, but for me at least, it's a huge “wow“ now. To have it in my collection is something. I would like to say that my condolences go out to everyone who was on board and their families and hopefully we all find out what happened." When the news of the missing flight first came to light in the early morning of March 8th, I was with my family group meetings with my two kids in one of the family group homes. I was actively involved with my mates whom are all aviation/spotter group through wassap chat group that we created for our little group....Then it went serious as it turns out to be still missing after news about it landing on an airport in Nanjing was a fake, my heart started pounding hard, just couldnt believe my eyes and ears that a Malaysian Plane, furthermore a triple seven is missing. It's just sad really, and being a Malaysian myself, I might even have had a ride on that similar aircraft once upon a time ago flying from Kuala Lumpur to Perth back in the days before Airasia X came to this part of the world. The Triple seven is a joy to fly in. It's graceful with its huge twin engine, feeling robust in the air and beautiful to photograph in action with all the flaps down, the triple landing gear bogeys. Now having learn this is the first total airframe and lives lost of a Triple Seven in a crash, it's just unbelievable in this modern aviation world." "I haven't photographed the Malaysian 777 in Sydney very often, but am glad to have captured this image of her approaching Runway 25 late on a summer afternoon to remember her by. My sincere condolences to all those affected by this accident." "When I took that photo it was a cloudy day with some heavy shower and MRO took off after one of that shower creating that light and that photo is one of most beautiful I've ever taken.. Right now i'm just hoping that the wreckage will be found fast." "Most of the times it was just a normal day for us. When I have time and the weather is good, I go spotting. Yes, sometimes there comes a special painted aircraft, or there's a delivery flight from Toulouse or Seattle or somewhere else, but most of them are just regular flights. 7 weekly flights, same aircraft type, same landing runway,..
Of course when there's a plane crash or the retirement of a plane, I will think, oh, I've seen this one, and now it won't be flying anymore." "I am a retired pensioner and former private pilot, and I live in a suburb of Melbourne. My hobby is photography, primarily aircraft. On a visit to Melbourne's Tullamarine Airport in April 2011, taking photos of lots of aircraft, including 9H-MRO. At the time of the disappearance, I was in hospital recovering from cancer surgery. I spent 18 days in hospital, and gave no thought to the fact that I may have photographed the aircraft involved in flight MH370. It was not until I was home again, and received a Favorite flag from a Flickr member that I realized the significance of my photo." The picture of 9M-MRO I took while waiting for my flight back to Switzerland at Johannesburg airport in South Africa. 9M-MRO is one out of minimum 4 aircrafts I have spotted which crashed in the meantime. One of the most famous one was Korean Airlines 007 which was shot down by the Sovjet Airforce over Sakhalin Island. I photographed that one in Honolulu in 1981." "I’m an Airline Captain, I’m a spotter. I love to watch and photograph the take-offs of heavy aircrafts, I know they are not a metal, flying birds, they connects thousands of people in a journey to happiness. In remembrance for those onboard." "...I was very pleased to get a image of the aircraft and I still think it was one of the best aircraft I saw in Istanbul. ...I now see the image as a memorial to all those who have been lost." "I took the image while working on an early shift as an A&P mechanic at Frankfurt Intl. Airport. It was a sunny morning and for the first time in this week the sun came out and offered a nice photo opportunity after days of dull weather. I had this picture on my hard-drive for quite some time prior to publishing it because to me it seemed to be not good enough. One day I started editing old pictures, came across 9M-MRO and figured out that the result was worth the work. My thoughts go to the families of the victims and everybody else involved in this flight. From the mechanics to the crew and all ground stations." 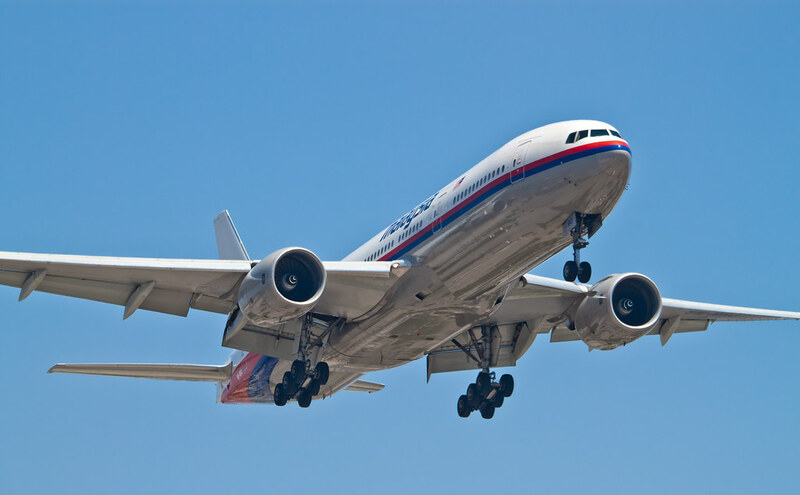 When I saw the news about MH370 and that it was a 777, I immediately remembered that I had taken photos of Malaysia Airlines 777s in the past.... and, lo and behold, I did have some photos of 9M-MRO from June 22, 2012. When I saw that I did, indeed, have some shots of this plane, it sent some shivers up my spine. While the event itself was terrible and tragic, I was glad to have photographed this airplane while it was still operating. I feel grateful to have photographed that plane on that day." "We wanted to wake up early in the morning to catch the most long haul flights. It was a beautiful sunrise at this day as you can see on the picture, and a little bit foggy. Perfect for catching the early birds. The first plane which we caught was the now missing Triple 7 9M-MRO. I was so happy to have this one spotted, cause it was my first Malaysian, and until today, the lonliest. I read a lot in Facebook about the missing plane, than i remembered that I've caught a Malaysian... it was the same as which it's missing. I was so surprised about this and can't really believed it. They have 105 planes, 15 Boeing 777-200 and I caught exactly this one, I don't know what I really should said now. I felt sad and wrote to my Polish friend that we have the plane, he was at this moment really surprised too." 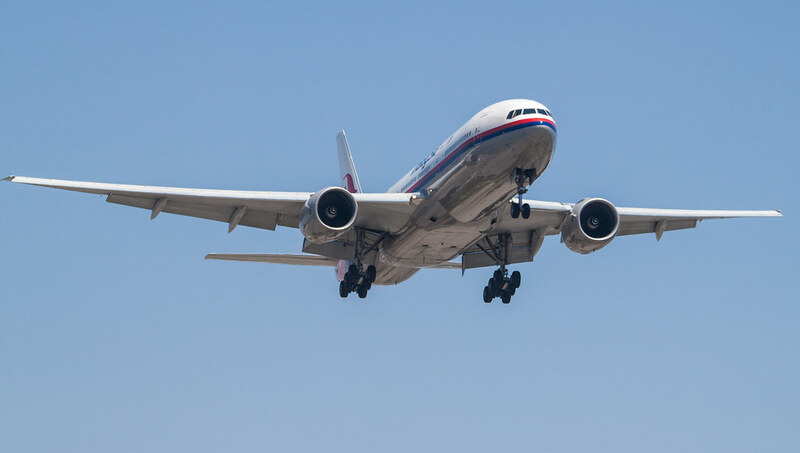 "My Encounter with Malaysia Airlines Boeing 777-200, 9M–MRO…. A couple of days later, I saw on the news, that a Malaysia Airlines Boeing 777 was missing. I wondered if I might have a shot of this particular aircraft, and a quick search on "9m-mro" on my computer revealed that I did…that discovery created a strange feeling. It was soon reported that transponders had been turned off, not long after departure, followed by a drastic course change. This news, plus information to the effect that plane had kept on flying well into the early morning, turned the story into a genuine mystery. Now there are only a day or two left before the "pings" from the "black boxes" go silent and for the sake of friends and relatives of those onboard, I hope the truth about the aircraft's fate is uncovered and soon..."
That's the second time that I took a photo of a crashed airliner. First it was the crashed National Jumbo at Bagram and now the Malaysia Airlines B777-200. It is an unreal and very incredible feeling for me. I heard about the crash when I was at school. I just thought "Oh no. No crash again!". It is very spooky because I think nearly 20% of all aircrafts I spotted are crashed or they had some accidents, for example an emergency landing. I took that photo of the 9M-MRO nearly 2 months before crashing, on the 12. January 2014 at Amsterdam Schiphol Airport. It is nearly like a bad dream! One of my last few shots of 9M-MRO, captured in the morning of January, 30th, 2014. I published this in my Facebook wall, the day the Prime Minister of Malaysia announced that flight MH370 has ended somewhere in southern part of Indian Ocean, the loneliest place on this planet. I called this photo "Oscar, you're 'home'.."
I was in the new Tom Bradley Terminal at LAX and walking by a snapped my image then I got to talk to the captain to ask about flight training and special flying opportunities. I don't remember the Captain's name but I don't think it was the flight crew on MH370. The image was taken on February 28, 2014 after it de-planed....March 8 was just the day I uploaded this picture… not knowing at the time it was 9M-MRO which disappeared... in remembrance for those onboard. This piece has been produced as a non-profit tribute to all of the lives who are missing and those who remain forever changed by this tragic event. All Images have been cleared for usage from the participating photographers. They hold and retain the rights to their images.